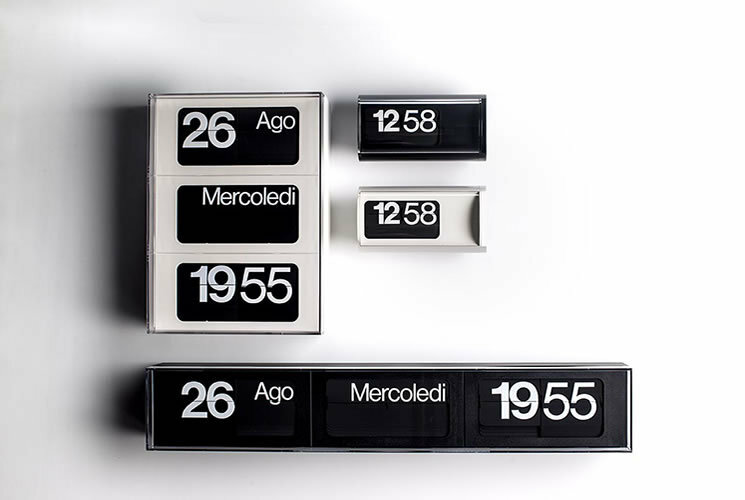 That of Solari clocks is a story about the technological revolution of the flip clock devised by Remigio Solari and developed together with the architect Gino Valle in the late '50s. 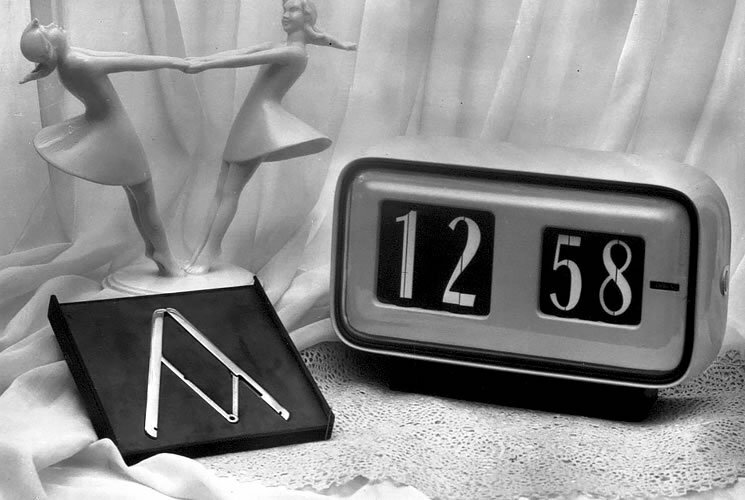 The first example of the "flip" family is the Cifra 5, winner of the Golden Compass in 1956, designed by Valle with the collaboration of illustrator and graphic designer Michele Provinciali: a veritable communication system was developed from the Cifra 5, consisting of numerals and letters. Emera 5 was the first evolution of the Cifra 5 that also displayed the day of the week; then in 1956 came Dator 5, the first direct-reading calendar clock with metal leaves showing the time, date and day of the week. "The culture and history, the artistic heritage, genius loci, sense of origin, eccentricity: these are the tools of Michele Provinciali. (...) who has the gift of reading modernity with the eyes and tools of a tradition that preserves an endless path of unique aesthetic experience, high and anthropological, without comparison."